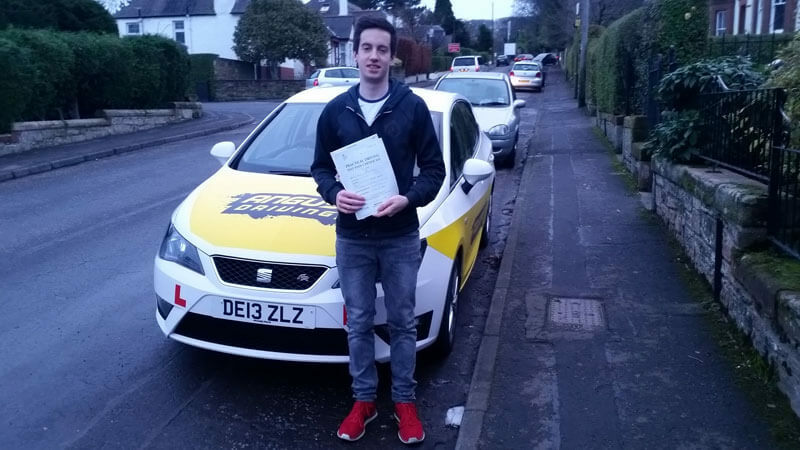 Findlay got in touch in November to enquire about driving lessons. he had been driving with his mum throughout the summer and had booked a driving test for mid December in Edinburgh. After going out with Findlay I could see that he was extremely capable, talking anything we discussed and putting it into action straight away. We carried out a mock test during the driving lessons then went on to correct any mistakes. Findlay passed his driving test first time with only one driving fault! The examiner told him that his drive had been excellent!